One of the best parts about my experience studying abroad was my two-and-a-half week long Easter break. I left Ireland for a fortnight and spent time in Scotland, England, Italy and France, enjoying every single second of it (and making good use of every single second, too—I hardly slept at all). And while I was excited to see famous sights like Loch Lomond, Edinburgh Castle, the Tower of London, Buckingham Palace, the Colosseum, St. Peter’s Basilica, the Louvre and the Eiffel Tower, I was even more excited to see something else. It may seem odd, but the most excited I was during that entire fortnight was the morning I boarded a train in Preston, Lancashire, England, fresh off of spending a day and a half visiting a friend there. The train pulled out of the station and chugged resolutely towards Liverpool, where another friend awaited along with everything a Beatles fan could ever want to see. 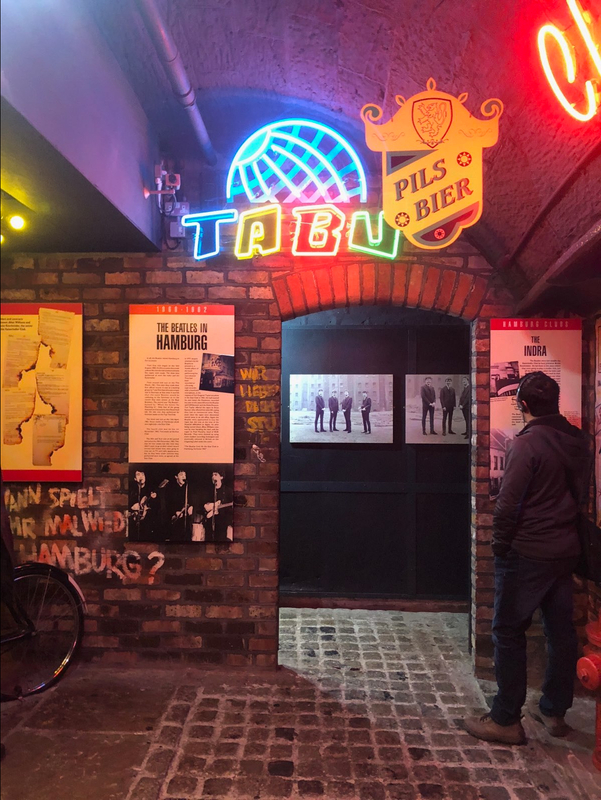 So when I arrived in Liverpool, my friend and I hopped on a Magical Mystery Tour bus and saw the sights around the city, stopped off for a pint in the (new) Cavern Club and had a photo shoot with the Beatles statues on Albert Dock. Two days later, we returned to the dock ready to visit The Beatles Story, a museum devoted to all things Fab Four. The Beatles Story is an incredible experience. Guests receive a headset and walk through the museum with an audio tour featuring commentary from Julia Baird, John Lennon’s half-sister. 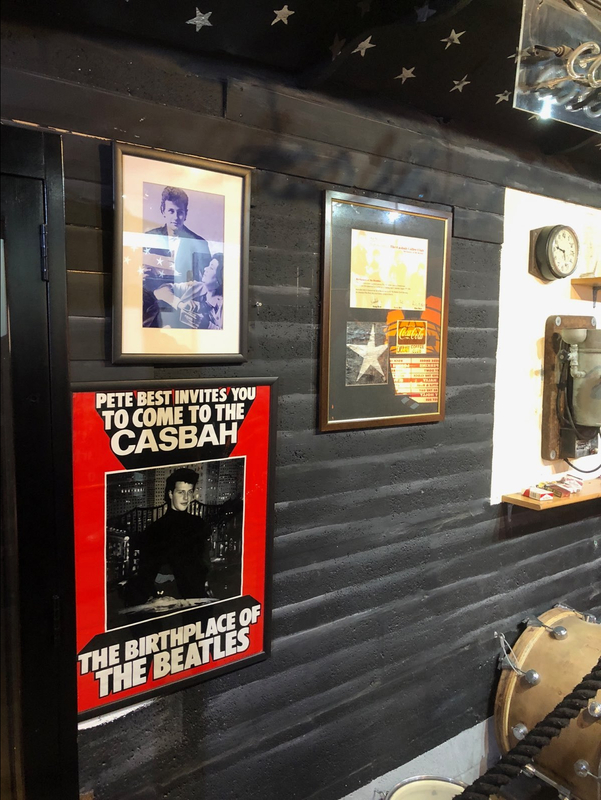 The museum is laid out with rooms resembling the real places the Beatles visited or played; for example, there are replicas of the Cavern Club and the Casbah, allowing visitors to see what those places looked like when the Beatles played them. The tour follows the band’s trajectory chronologically. A special treat is the room devoted to Sgt. Pepper’s Lonely Hearts Club Band, a cacophony of color and sound so reminiscent of 1967 and that seminal album. 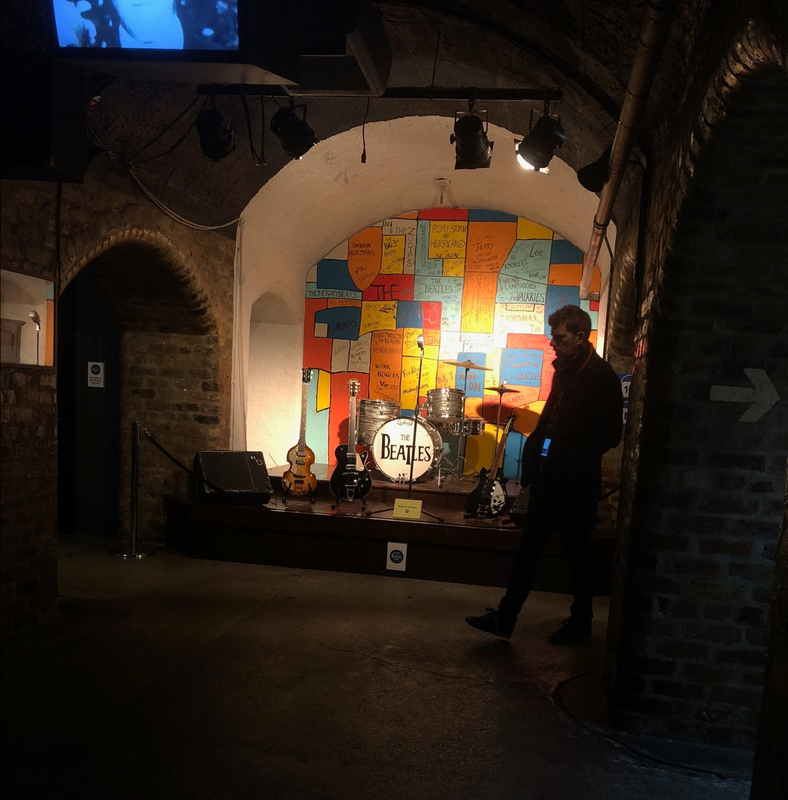 Spread throughout the rooms are actual artifacts from the Beatles’ careers. 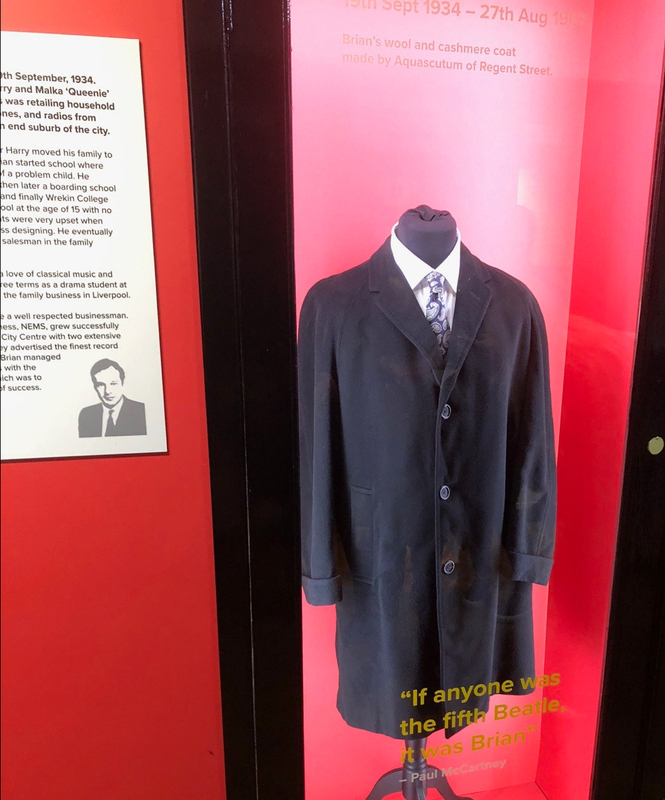 There are instruments, programs, photographs and even a suit that belonged to Brian Epstein. Music is constantly piped through speakers, giving the entire experience a cheery and familiar feeling. The end of the tour focuses on the four Beatles’ post-band solo careers. 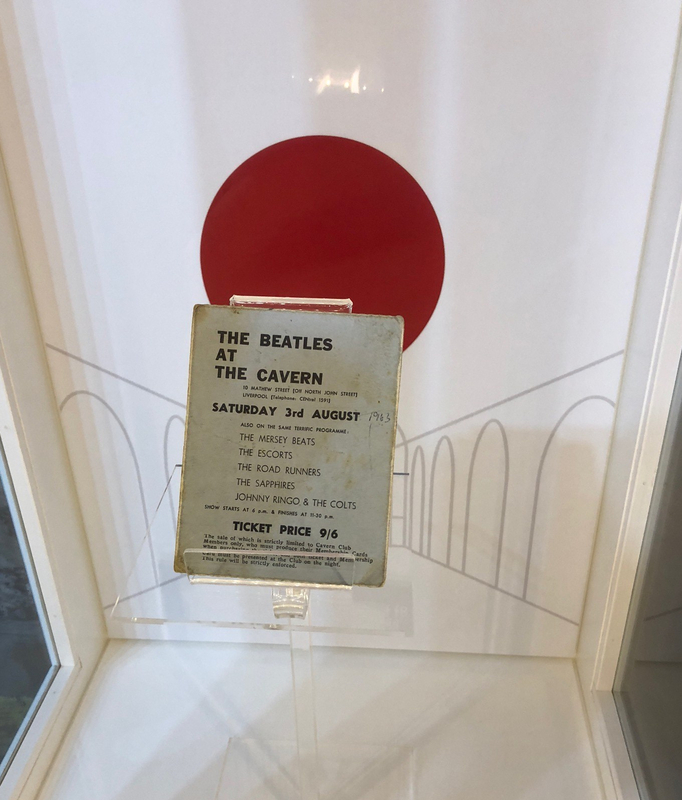 While I am a Paul girl through and through, I found the most compelling part of this end of the tour to be a replica of the white room from John Lennon’s Tittenhurst estate. 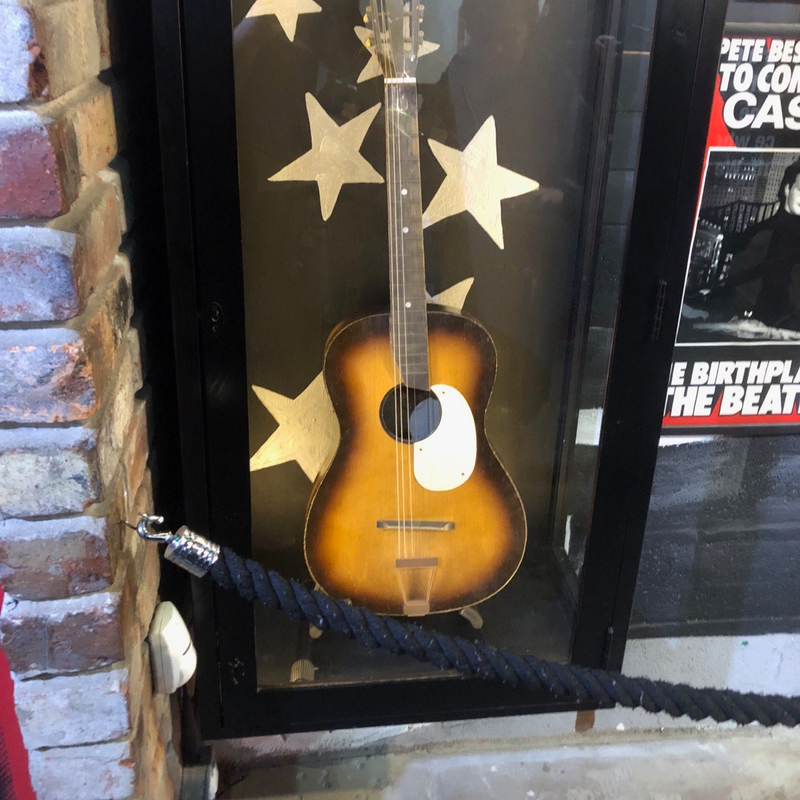 It was hopeful and idealistic, with the song Imagine playing through the speakers, and yet also sobering and melancholy, as visitors reflect on John, what he accomplished and what he might have done if not for his untimely murder. I walked out of the museum feeling happy, content and so, so lucky to have had the opportunity to visit Liverpool and soak in all of the Beatles sights. 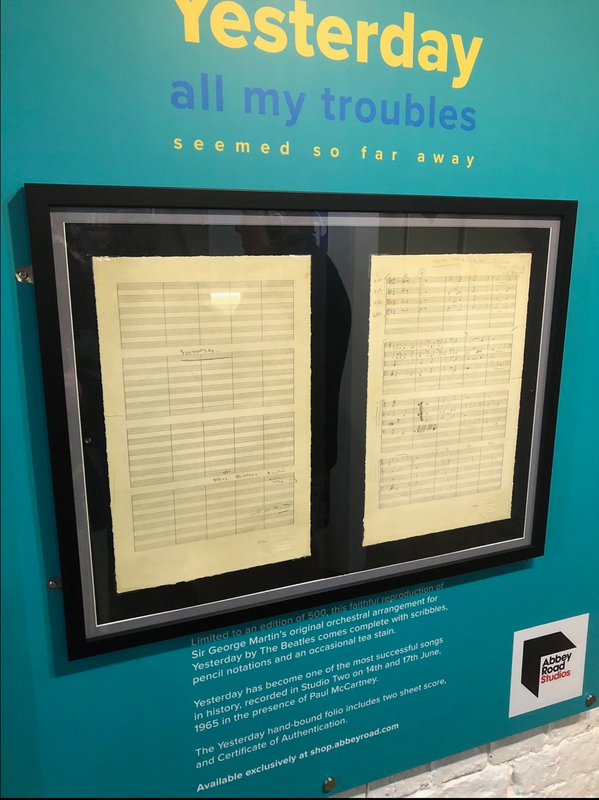 While I did go on to have plenty more incredible experiences over my Easter break, every time a Beatles song comes on my shuffle, I think back to the days I spent in Liverpool and give a satisfied smile. I’d go back there any time at all.